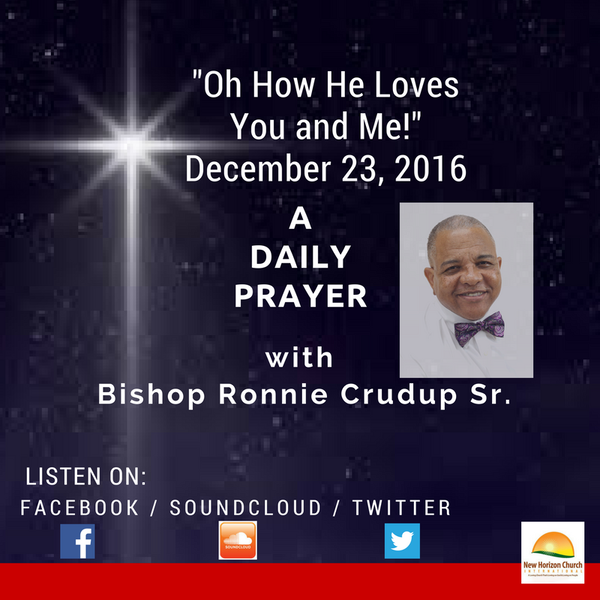 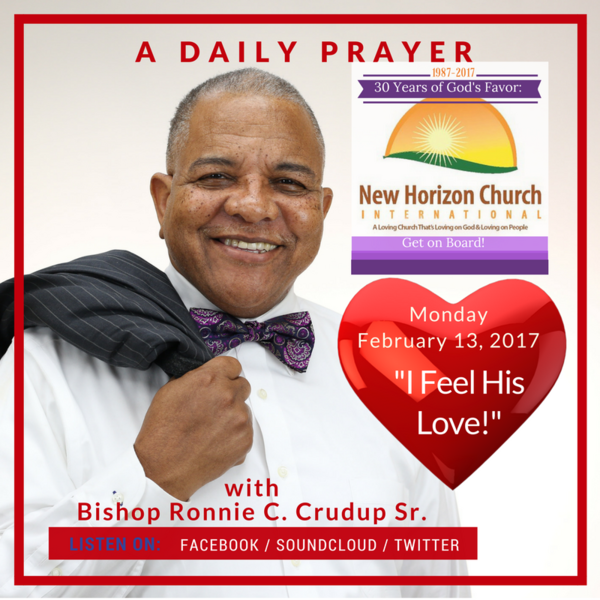 Monday, February 13, 2017, A Daily Prayer With Bishop Crudup "I Feel His Love!" Tuesday, March 28, 2017, A Daily Prayer With Bishop Crudup The Lord's Prayer! Monday, March 20, 2017, A Daily Prayer With Bishop Crudup "Brand New Mercies!" 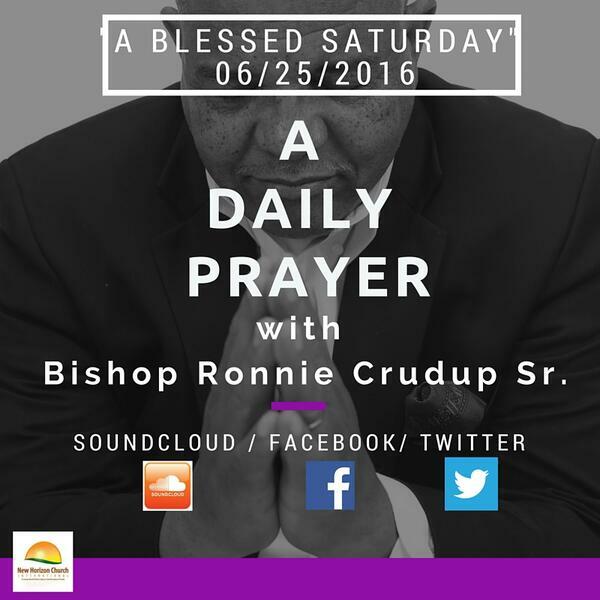 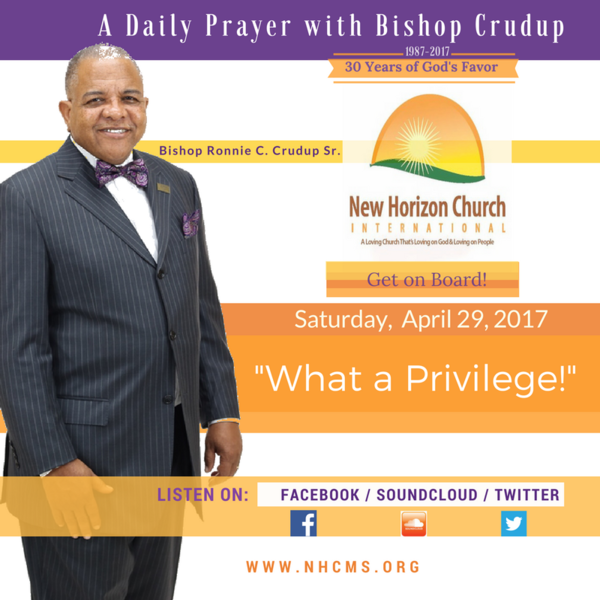 Saturday, April 29, 2017, A Daily Prayer With Bishop Crudup, "What A Privilege!" 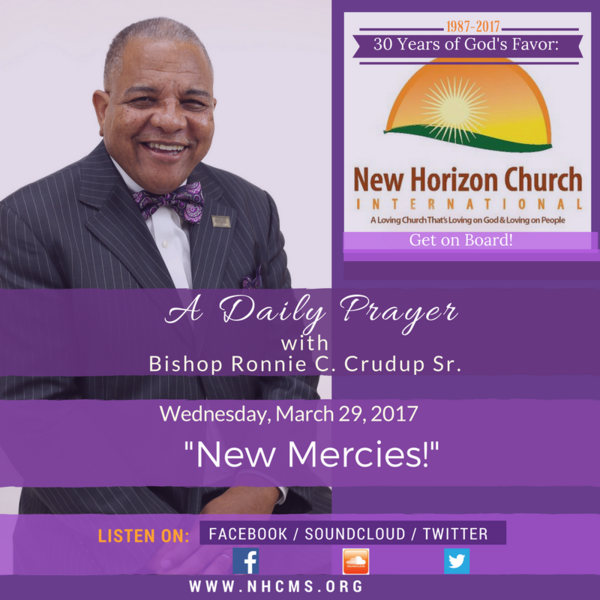 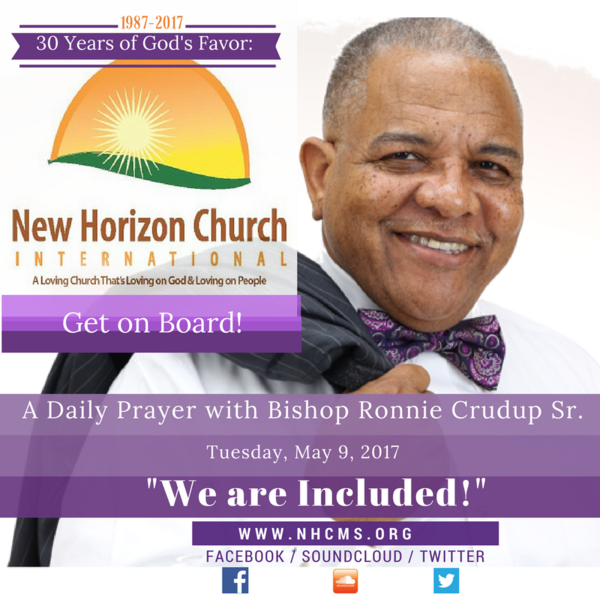 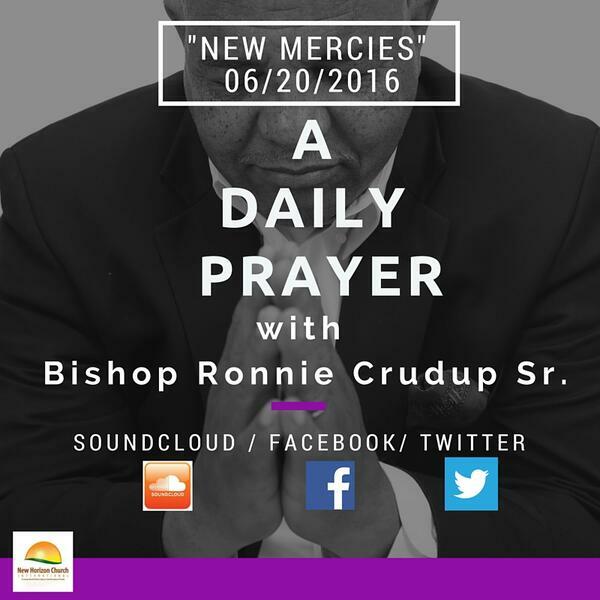 Wednesday, March 29, 2017, A Daily Prayer With Bishop Crudup "New Mercies!" 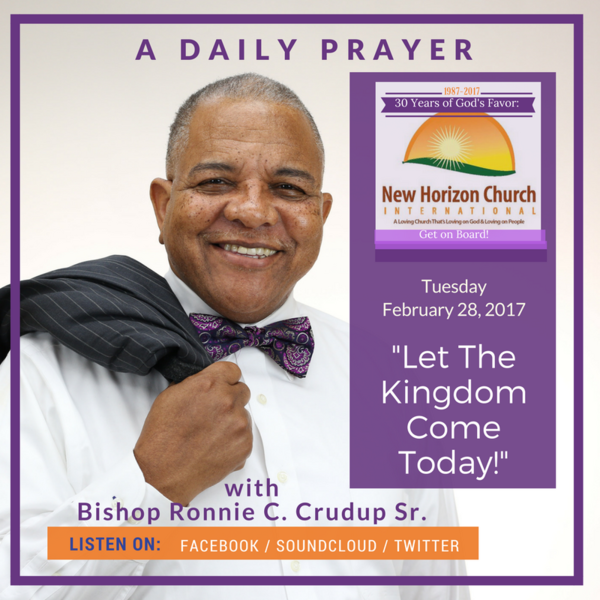 Tuesday, February 28, 2017, A Daily Prayer With Bishop Crudup Let The Kingdom Come Today! 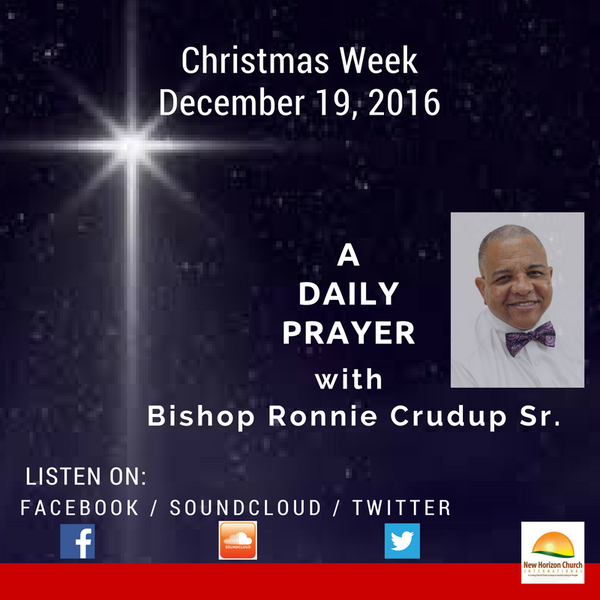 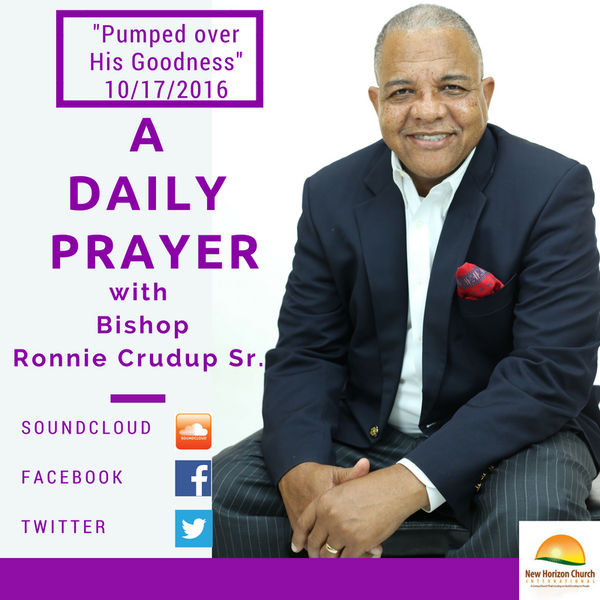 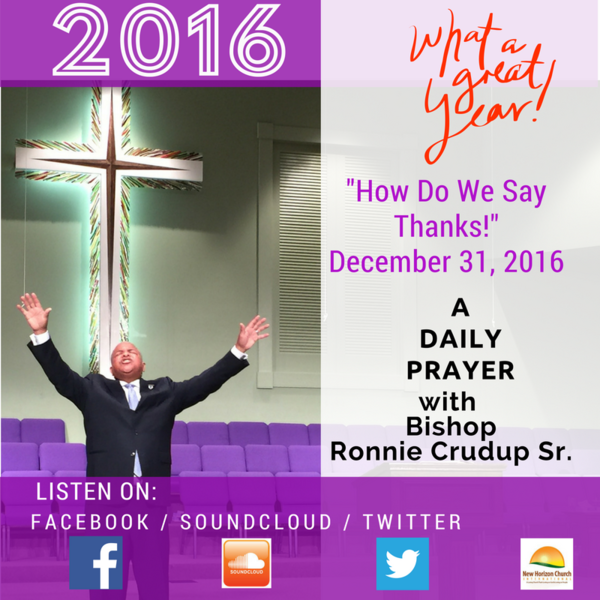 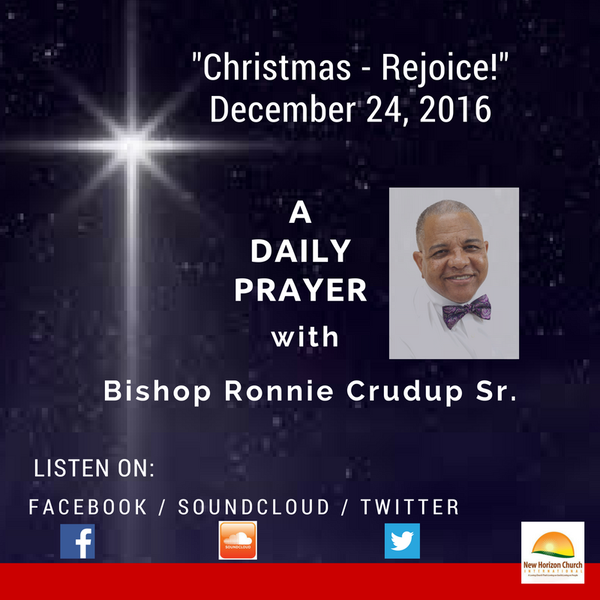 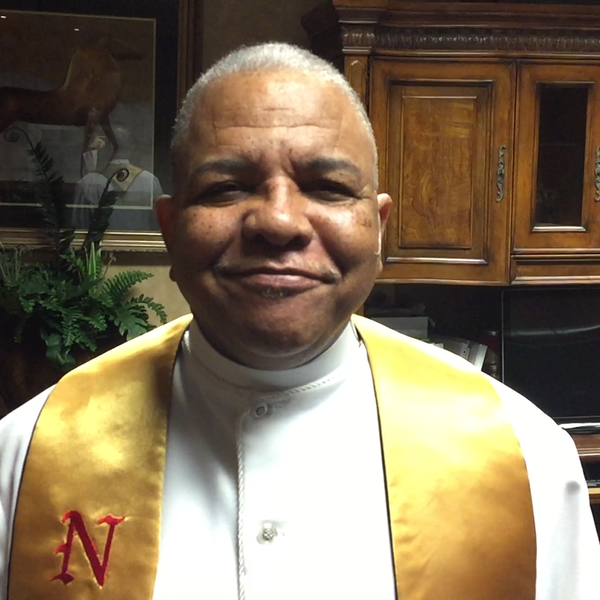 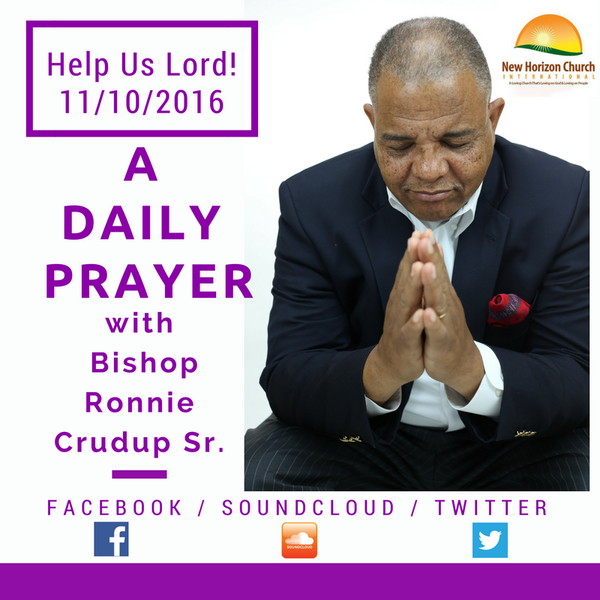 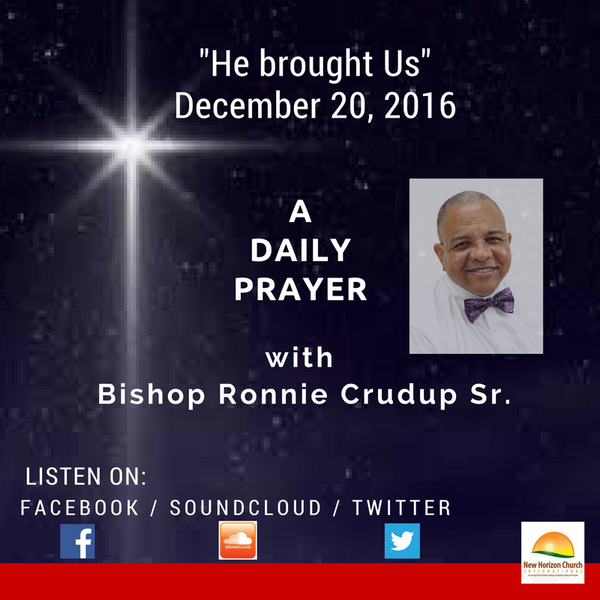  Monday, February 27, 2017, A Daily Prayer With Bishop Crudup "Bless This New Week!"